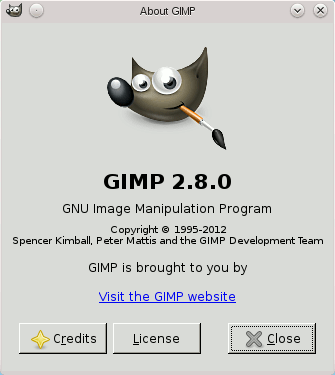 The About command shows the About window, which displays information about the version of The GIMP you are running and the many authors who wrote it. The Credits leads to the list of contributors to GIMP program, concerning programming, graphics and translation of the interface. The Licence explains how to get the licence.